When you need a limo in Brookville, you want S&G Limousine. Exemplifying professionalism and bring a new voice to Brookville luxury, S&G Limousine is proud to be the local leader for upscale transportation. For those in the know, we’ve been the name of choice for years, but the increased demand for quality limo service is leading others to find us among the myriad competitors in the Brookville limo market. As we’ve done for a long time before, the elevated services that S&G Limousine provides will help separate us from less-than-stellar rivals. As a starting point, the S&G Limousine fleet was built to be the best and it clearly shows. Not only do we have state-of-the-art classic limos at our disposal, but we also have a wide range of specialty vehicles to fit any need. If you’re a wedding party needing several stretch limos, we have you covered. If you’re a single corporate traveler, our town cars are specifically for you. Nights out on the town are perfectly serviced by our party buses, which can hold up to a staggering 29 passengers. Whether you’re headed to JFK airport or just need an upscale lift from LIU Post to Manhattan, our Brookville limo services are complete. 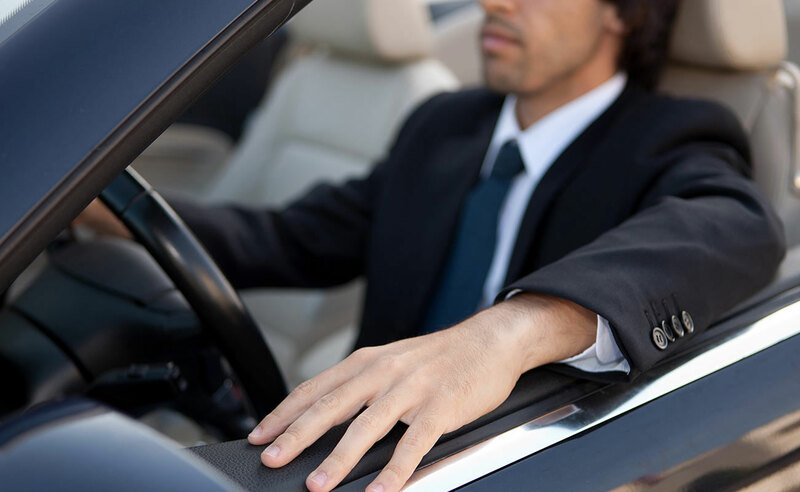 An experienced and well-qualified chauffeur will arrive on time to your Brookville address and quickly have you on the way to your destination. On the ride, you can expect the latest in-car amenities as well as a relaxed atmosphere that only comes with knowing you’re in good hands. Rest assured that all our chauffeurs have logged countless driving hours and are truly the cream of the crop. While other Brookville limo companies may talk the talk, S&G Limousine chooses to walk the walk. We’re well aware that our most valuable asset is not our vehicles or our chauffeurs – it’s you and our other customers. Our singular goal in everything we do is to make sure that your time with us is the epitome of comfort and that when you next need a limo, you’ll call us. In this manner, we’ve built a Brookville limo solution that’s peerless both in the local area and developed a firm capable of responding to nearly any request. A large part of our work for Brookville clients includes airport transfers and corporate transportation, but we’re also ready and willing to create custom plans for weddings, concert trips, or even multi-stop itineraries that can span several days. In short, S&G Limousine is infinitely flexible and some of our greatest successes have involved unique situations such as vineyard tours, family reunions, and more. Call 516-223-5555 and find out what kind of Brookville limo trips S&G Limousine can arrange for you. Brookville Zip Code: 11545, 11548. From Brookville wedding limos to Brookville prom limos S&G has you covered.